* Registration Fees are exclusive of GST. 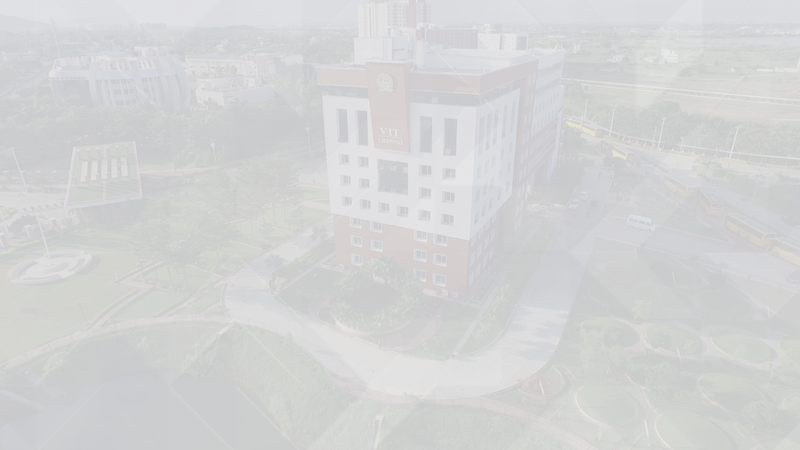 VIT University Chennai Campus is located midway between Vandalur Zoo and Kelambakkam in South Chennai in the State of Tamil Nadu. It is 30 km away from Chennai International Airport and 42 km away from Chennai Central Junction. It is easily accessible by Metro Train and Deluxe Buses from both Chennai Airport and Central Railway Junction. The nearest Metro Station is Vadalur Zoo, which is 9 km from the campus. The campus can be reached by MTC Bus Route No. 555 from Tambaram bound for Tiruporur. From Vandalur Zoo, Van services are also available. Accommodation is available in both boys and girls hostel @Rs 750/- per person/day which include boarding and lodging in VIT Hostel. The room will be shared among 4 person. Bunker type beds only available with common restroom.